PS- Jail-breaking A Fire-stick isn't hard as you think. In this tutorial, we will guide you on how you Jailbreak your fire stick. 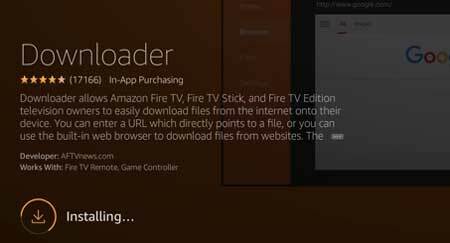 This tutorial will work on Amazon Fire Stick and also works on Amazon Fire TV, Fire Cube, and Fire TV Televisions. The Fire Stick is a deficient cost device which allows you to stream online content on your Television. The Firestick is the base model in the Fire TV series Amazon launched back in 2014. You need to connect this to your TV via an HDMI cable, and this small device is capable of streaming up to 1080p. It is very much similar to the Google Chromecast but provides more functionality. It also gives you access to over 15,000 apps. Other than watching movies you can also play games, and it also comes with voice controls with built-in Amazon Alexa virtual assistant. All these come with a cost, At first place you have to pay for the Amazon Fire Stick itself and then you also have to pay for Subscriptions through which you are going to consume content on your FireStick. Subscriptions like Amazon Prime, Netflix, Hulu, Pandora, and HBO will create a hole in your pocket. That’s where jailbreaking comes into the role. It will allow you easy access to third-party streaming apps which let you watch media for free of cost. So you can watch your favourite movies, TV Shows, Live TV and much more for free. In this tutorial, we will show you How to jailbreak your firestick, How to set up an alternative app store, and how to install most popular free movies and TV Shows streaming application available on the Internet. What do we mean by Jailbreak a Firestick? Jailbreaking a fire stick is a process of removing certain restrictions applied by Amazon. These restrictions stop the user from installing unauthorised Apps. So once you jailbreak a Fire Stick, you can sideload certain Apps on it which is not available on the Amazon App store by default. Let me tell you, jailbreaking a firestick is not a Rocket Science. You may think it’s like rooting an Android device or JailBreak iPhone by doing some severe steps but No!. Jailbreaking a firestick is a straightforward process and requires only 2 to 3 levels. You are just tweaking few settings on the FireStick which will allow you to sideload Applications and that’s it. This method should not be termed as jailbreaking because Amazon doesn’t completely disable it for you; the options are just hidden somewhere under the settings. You might have also seen people selling JailBroken Firestick for 25$+ above the average price of a firestick. They come with Kodi or Aptoide TV preinstalled (Free Media Streaming Application) Now you don’t need to buy them follow our simple step, and you will have Kodi or other Apps running on your firestick under a minute. Now you may ask, why to sideload Apps on it? Well, that gives you access to thousands of free movies, TV Shows, Live Sports Channel and much more. This tutorial works on all kinds of Fire Stick, whether its an old used one or a brand new Fire Stick. You have, and you will have a jailbroken Firestick. Similar to jailbreaking iPhone where the user doesn’t have to buy paid apps and get them free, On the FireStick, you can watch paid movies for free. It provides you with full control over your Amazon FireStick. You can install/Sideload Applications with ease. You can watch Movies and Tv Shows for free. Jailbreaking will let you watch sports channel live tv channels for free. You can install and play Paid Games and Apps for free. JailBreaking a firestick is a straightforward process, and you can do it in just under 5 Minutes, but there are certain things which you should take care of before getting straight to the jailbreaking process. The very first thing you have to do is to go to the settings tab then move to the right and look for a setting called Applications. 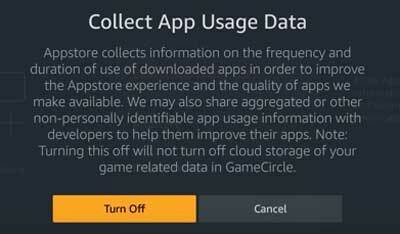 Under Applications, you will find an environment called Collect App Usage Data and turn it off. 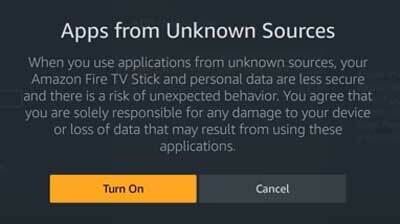 It is just an optional step which makes sure that Amazon doesn’t keep track of whatever you are doing with your firestick. You can leave it on if you wish, but we recommend to turn it off. If you are on the newer version of FireStick, then You will find this setting under Preferences – Privacy Settings – Device Usage Data and App Usage Data. Again in the settings menu move over to the setting called Device. Under that go to Developer Options and then walk over to Apps from Unknown Sources and then turn it on. It will allow you to install specific Applications which are not available on the Amazon App Store. If you are on the newer version of FireStick, then You will find this setting under My Fire TV. Now let’s Start by Downloading an Application called Downloader. Head over to the Amazon App Store, then look for the search tab. Now type “Downloader” and you will find one under the Apps and Games category with an Orange icon with “Downloader” written on it. Download the Application by pressing the Ok button twice on your remote and when the download is completed, open it. You might get an Update note prompt when you first open it so press okay. It is just an optional step. We do not encourage you, and neither do we promote streaming copyrighted content we recommend you to have a VPN installed while watching those free contents. You can install any free or Paid VPN service of your choice, and it will hide your identity. To install a VPN open the Amazon App store and go to the search bar, now type any of the VPN apps you want to invest like Expressvpn, Nord VPN or any other. Click on the download button. Once the installation is over, Open the App and enter your login details in case it is a Paid VPN Service or continue to select any server of your choice when it’s a free VPN service. That’s it. You now have enabled all the necessary settings and also installed the downloader application. Now that you are secured with a VPN, it is time to start using Kodi on your Fire TV/Stick. You are now ready to move forward to the primary step on jailbreaking a firestick. It is the easiest way to JailBreak a Firestick, and you have to connect an Application call Aptoide TV which will allow you to watch free movies and TV shows and also you will be able to Install Kodi. So once you have downloaded the Downloader Application, go on the Homescreen and open it. Under the home menu within the Downloader Application, you will find an address bar with a blinking cursor. Now click on it and type the url which has the direct link to the Aptoide TV Application or its APK file which is required for this installation process. Click on the Go button. Now you will notice that the application has started downloading. Once the download is completed, you will be prompt with an installation page. Click on the down arrow key few times on your remote till the install button appears. Click on Install. When it’s done then click back a few times on the downloader application and go back to your homescreen. The Aptoide Tv is installed on your firestick. You can open it from your Homescreen. The Aptoide Tv has a beautiful and remote-friendly interface so you can quickly browse each section of the application. You also have categories like Tops Apps where you can find the most popular apps for your FireStick. You can directly install those applications like Youtube, WhatsApp and other such apps within the Aptoide TV. Let’s move on to the Kodi Installation. On the Top Apps menu on the Aptoide TV, Scroll to the right until you find Kodi, or you can search for Kodi in the search bar. Click on it, and it will take you to the App Detail Page. Now hit the Install button, and it will start downloading Kodi for you. Once the download is finished, it will take you to the installation page. Again move to the bottom by pressing the down arrow a few times until the Install button Appears. Click on Install, and That’s it. You now have Kodi installed on your Firestick. Note – Some of the Applications on the Aptoide TV takes time to update to the latest version. 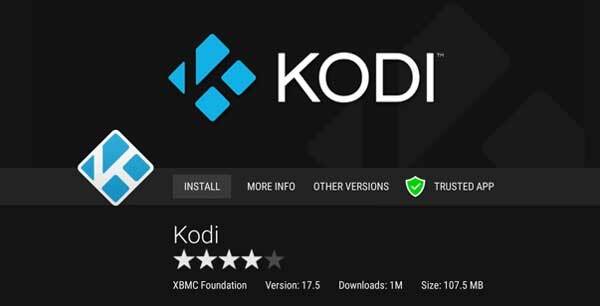 In case You find apps like Kodi being an older version on the Aptoide TV, we recommend you to install Kodi via Method 2 which will always give you the latest version. If Aptoide TV already has the latest version of Kodi, then you don’t need to worry about. Also, some apps come with an auto-update feature so they will notify you to install the latest version as soon as you open them, but unfortunately Kodi doesn’t come with that feature. Though the Method 2 directly installs Kodi on your FireStick, we recommend the Method 1 because Aptoide TV keeps on adding some of the most popular streaming applications, so you don’t need to search for them anywhere else. This method lets you directly install Kodi without installing the Aptoide Application. For that, we are going to download Kodi via the Downloader App and setup it. First of all, Open the Downloader App and on the Homescreen type in the URL to download the latest version of Kodi for its installation. After entering the above URL Click on Go Button. 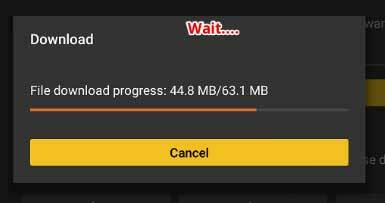 It will start downloading Kodi APK on your Firestick device. Wait till the download process is completed. It will take you to the installation page. Scroll down to the bottom by pressing the down arrow key two to three times. Finally hit Install. Once the Kodi App is installed, You can launch it by going to Home > Then Apps > Kodi. That’s it! Kodi has been successfully installed on your Firestick. Now you can enjoy the latest version of Kodi and also its Add-ons to make the experience even better. You can find some of the best Kodi add-ons later on this post for tv shows, live tv, music, and free movies. It is another easy method where you can jailbreak your FireStick by sideloading Kodi with the help of an Android Device. That’s right, and you need an Android Phone and a Wi-Fi network for this type of installation. Start by going to settings > Devices > Then search for Developer Options. Under developer, Options Enable ADB Debugging. Connect your Amazon Firestick and your Android Device on the same Wi-Fi network. Search for Kodi Leia v18.1 and install it. Again search for Apps2Fire App on the play store and install it. Now on your TV click on Settings then Go to Network and then go to Firestick IP address. Open Local Apps and search for Kodi. Now, wait for the Installation to Finish. That’s it. You now have Kodi Running on your FireStick by Sideloading it with an Android Smartphone. It is the last method we are going to list here, and this method doesn’t require you to have the Downloader App installed on your FireStick. You can skip that step if you are going to Install Kodi via Es File Explorer. Open the Amazon App Store on your FireStick. Now search for Es File Explorer in the search bar. Once you find it, Install it. 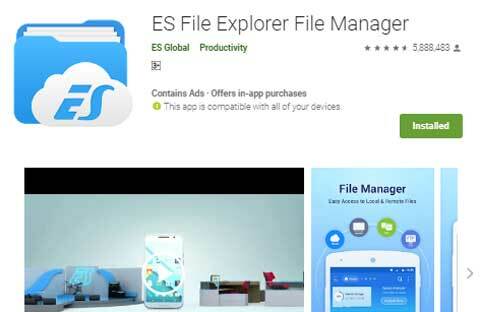 After the Installation is done, Launch the ES File Explorer. Go to Tools then Download Manager within the ES File Explorer. Now Press Ok. On the Dialogue Box Enter the path name and Select Download Now. Once the Kodi APK is downloaded, Click on Install. It will take you to the installation page. Again move to the bottom by pressing the down arrow a few times until the Install button Appears. Click on Install, and That’s it. Go Back to the Firestick Home & Now you have the latest version of Kodi on your Firestick. Now Watch free movies and tv shows on your JailBroken FireStick. There are a lot of Apps you can try after jailbreaking your FireStick. We have already introduced you to two of them, Kodi and Aptoide TV. Below are two more most popular apps for Live TV Channels and Sports Channel you might want to install and try out. The installation process is again the same as installing Kodi, and you will get it done under 5 minutes. 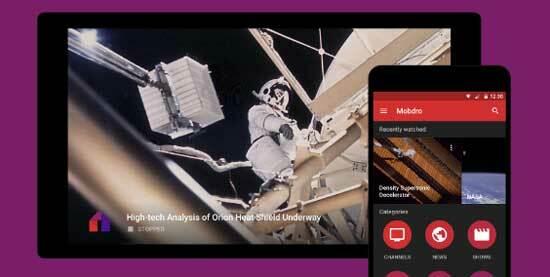 Mobdro for Live TV Channels. Mobdro is popular App for Live TV Channels and has a variety of channels from different categories like Music, Gaming, Animals, News, Shows, Movies, Sports, Tech, Spiritual and a lot more. The best thing about Mobdro is it’s simple to use interface. The app is also lightweight, and the app also doesn’t require any login or registration. You will find channels from the USA, UK, India, Canada, and other countries. Though there are other Live TV Channels apps available Mobdro is the most preferred one. Below are some of the frequently asked Questions about the Jailbroken Amazon FireStick. So before you start Asking in comment kindly go through some of these and you might your suitable answer. Q. Is it safe to jailbreak FireStick? As I have discussed Above, Jailbreaking a Firestick is entirely different from another Jailbreaking process like an iPhone which requires tweaking with the Operating System itself. Here we are not doing any such things, we are just installing specific Applications which is entirely safe. So these methods are entirely risk-free and secure to jailbreak a FireStick. Q. Do I lose warranty on Amazon Fire Stick when I Jailbreak it? No! You do not lose any warranty because you are not doing anything wrong with the hardware or software of the device. You are just installing some applications which are not available on the Amazon App Store. Q. Is jailbreaking a firestick illegal? No! Jailbreaking a FireStick is not illegal. However, when you install and Consume some media which is copyrighted and requires you to buy them, then it is illegal, and that’s why we recommend you to use a VPN when using Kodi or other such apps. Q. Will sideloading applications affect my firestick? Most of the Applications available for firestick is lightweight, and your fire stick comes with at least 8GB of internal storage, and 1 GB of RAM which is sufficient enough and jailbreaking Firestick will not affect the performance of your FireStick at all. We also recommend you to delete all the downloaded files once you install them on your FireStick, they are no longer required and might free up some storage space. Q. I cannot find some of the settings mentioned here. It might be due to a version update in the Fire Os so some names might have changed. We suggest you check every page under the settings tab, and you will surely find whatever you are looking for. So, this was a quick tutorial on How to jailbreak a Firestick by installing Kodi in several ways. By going through the method, you might have also noticed that these are very simple and does not require any tremendous task. Now you can enjoy unlimited Movies and TV Shows completely free. We had tried all the method several ways, and all of them are working just fine. Just in case you are having trouble or you find any other purpose then don’t hesitate to let us know in the comments below. Feel free to ask any questions related to these steps we mentioned in the comments below. Also, Thank You for reading this guide to jailbreak a FireStick. We hope you saved some of your precious time and found your solution in one place. Do share this article with your friends and let them know about this, especially if they own an Amazon FireStick it will help them a lot.